Self-sufficiency of the house is practiced in many parts of the world but ignored in economic theory, just as socialist collectivization is assumed to have brought household self-sufficiency to an end. 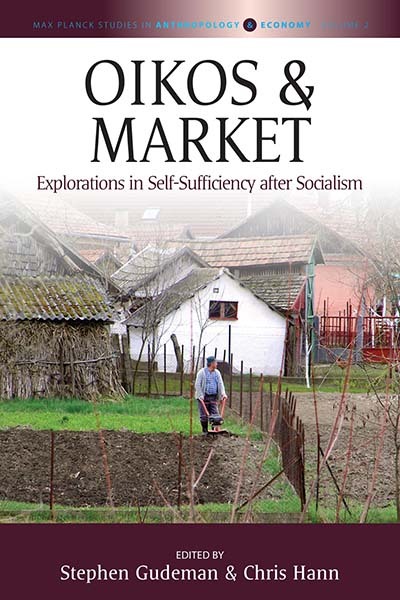 The ideals of self-sufficiency, however, continue to shape economic activity in a wide range of postsocialist settings. This volume’s six comparative studies of postsocialist villages in Eastern Europe and Asia illuminate the enduring importance of the house economy, which is based not on the market but on the order of the house. These formations show that economies depend not only on the macro institutions of markets and states but also on the micro institutions of families, communities, and house economies, often in an uneasy relationship. An interview of the anthropologist Chris Hann, talking about his life and work. Interviewed by Alan Macfarlane on 14 May 2010 and summarized by Sarah Harrison. Generously supported by the Leverhulme Trust.